Come out and meet your Cal ASA while “Getting Your Bearings” these next three weeks! http://welcome.berkeley.edu for more details about the welcome calendar can be found there. We’ll be a part of all the fun! Find us during Calapalooza on Sproul Plaza Thursday, September 4! Hello new and returning ASA members! Welcome to the 2014-2015 academic year at UC Berkeley! On behalf of this year’s Exec team, I wish you all the best on your first week! As many of you may already know, the Armenian Students’ Association at Berkeley is a group of active Armenian students who organize events to help build a strong community within a large campus like Cal and the greater Bay area. You are lead throughout the year with a vast team of executive members committed towards making the upcoming year exciting, interesting, and fun! During Cal’s three-week-long welcome week, “Getting Your Bearings,” you have several awesome events planned to start off the year with your ASA! This hangout is especially meant to break the ice and introduce new students to existing members of the ASA while snacking on some provided treats. This is also an opportunity to purchase pre-sale tickets for our first kick-off social event, PULSE! Look out for the Armenian flag at Table #30 on Sproul Plaza amidst the bustling students rushing from table to table during the activity fest! Visit during the day to say hello to representatives of the ASA and get more info about how to be dialed in as a new ASA member on campus! That same night is our First General Meeting!! So ask us about how to get there and what’s in store! 3. Come out to ASA’s First General Meeting of the year! Take up this official opportunity to meet new and existing members alike, join the family and learn about everything that ASA does throughout the year and sign-up to be a part of its many vibrant activities. There you will also be given important information about our Annual ASA BBQ that will take place that weekend. Meetings will continue to happen regularly twice every month on the first and third Thursdays of every month. ASA’s highly anticipated annual social event PULSE is here!! It will be a night of great music, lots of dancing, and a full bar. Come out to celebrate the beginning of a great year at Cal with your favorite Armenians! This is a great opportunity to bring your friends and roommates, and a chance for other student groups to come out and enjoy the fun of Pulse! Whether you have friends visiting for the Homenetmen San Francisco tournament games held that same weekend, in other student groups, curious friends and roommates, encourage them to come out as well! We welcome all friends of the Cal community! You can buy your pre-sale tickets from any exec member, at the ASA Table on Sproul OR on this webpage via the PayPal link found on the right-hand side of the home page. Please contact any of the ASA executive members if you would like to help out with publicizing the event. Join us for great food, friends, games & more at ASA’s first BBQ of the year. This will be a great chance to meet the existing members of ASA. 6. Looking for classes to take? Here are some Armenian Classes offered this semester. Keep an eye out for regular updates throughout the semester on this webpage and more frequently on Facebook. We will be informing you about regular events taking place at Cal and in the general Bay area community. I recommend you hit the “Executive Board” tab above to familiarize yourself with the friendly faces of the executive board for this school year! 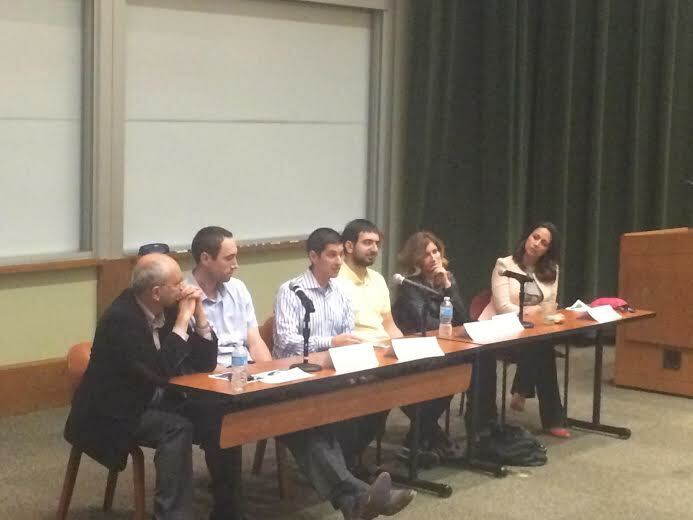 On Sunday, March 16th, the Armenian Students’ Association at University of California, Berkeley hosted a special event, “The Road to Home: Defining Success in the Diaspora” presented at the Haas School of Business, Anderson Auditorium, at UC Berkeley. The purpose of this event was to hear and learn from the experiences of Armenians who were able to reach success in the Diaspora. 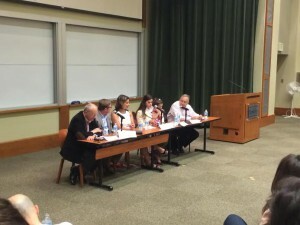 Our speaker panel hailed from a host of backgrounds including Goldman Sachs, Google, and Human Rights Watch. Our speaker panel was composed of three parts. First, our audience heard from each of our speakers individually. The speakers introduced themselves and their line of work. After the first speaker panel, there was a brief intermission where audience members were able to approach the speakers with questions or comments. This was followed by our second speaker panel and a Q and A to wrap up. Our speakers included: Aram Ayazyan from Google, Sarah Leah Whitson from Human Rights Watch, Christine Soussa from Symantec Corporation, Alex Saghatelian from Cisco, Adam Kablanian, the CEO of PlasmaSi, Kevin Minissian, the CEO of Norchem Corporation, Kim Bardakian from Visit Oakland, and Gasia Mikaelian from KTVU and Bay Area News. This was a unique opportunity, for the first time ever, for students and community members alike to spend the evening with different generations of Armenians in our local Bay Area and from around the globe. The event was open to the public. We would like to thank our generous sponsors including: the National Association for Armenian Studies and Research, the UC Berkeley Armenian Studies Program, and the Associated Students of the University of California. After the intermission we heard the second group of speakers and their success stories. We started the business panel by first hearing the stories of these successful Armenians. Click here for the link to the Asbarez article that promoted this event! We are writing on behalf of the Armenian Students’ Association (ASA) at UC Berkeley to sincerely request your participation in our upcoming events, bi-monthly meetings and expanding community! All of our hosted events are free for the public, as it is our mission to unite people of all backgrounds in the unique opportunity to share in the rich culture and tradition of the Armenian collective in the Bay Area. As fundraising for our non-profit university organziation is critical in order to continue successfully providing you, our community suscribers, with our highly anticipated and engaging events year-round, we humbly look towards families, businesses, and community organizations to help support the Armenian community in our efforts at UC Berkeley. We hope to raise $2,000 dollar by the end of the spring semester 2014. Your donation will help make our organization’s mission a reality and supports our annual cultural showcases and our new high school scholarship program. Moreover, this year, in an attempt to give back to our homeland, we have decided to sponsor a child in Armenia, as well as hold a clothing/book/toy drive. Lastly, as per usual, we will continue to host our upcoming Genocide Awareness Week (GAW), which will take place from April 20-25, 2013. During this special week of action, we gather leading scholars from around the world to participate in panel lectures and discussions, screen educational movies/documentaries, and hold a benefit concert for the campus community and the general public. We close our week-long tribute with United Hands Across Cal, an Oski Award-winning event. Through Armenian poetry and song, we raise our voices about the injustices of genocide and encourage those who hear our story to do the same. While continuing legacies like building a memorial that will be guarded 24 hours a day throughout the entire week, symbolizing our unfaltering fight for justice, we look forward to establishing new legacies, such hosting our very own “Tebi Yergir: Repatriation to the Homeland” event. We foresee over 300 participants joining us, each bringing his or her own knowledge, awareness and empowerment to the growing community. We genuinely hope that you will dedicate time to participate in such an empowering function that your neighbors, customers, and community members work so hard and long to bring to life. In doing so, you will be joining us in keeping our community and culture alive and thriving. 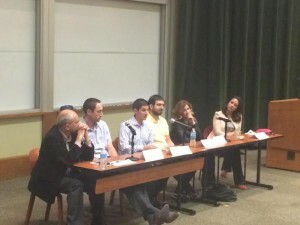 The UC Berkeley Armenian Students’ Association is a sponsored student group of the Associated Students of the University of California, a non-profit unincorporated association, IRS Code 501c3. Your donation to the ASUC on behalf of ASUC/Armenian Students’ Association may be claimed as charitable (if made by December 31st). If you would like to donate, please click on the link below. Thank you so much for your contribution. Merry Christmas and a Happy New Year!! First off, I would like to congratulate all the 2013 graduates who have left our little, Armenian Students’ Association family this spring. We’ll miss every one of you but we know that as you go out to the “real world” news will always trickle back with your accomplishments. In this case, it did not take long for Gegham Mughnetsyan, previous ASA president, to pass on his knowledge and thoughts in a newly published article. This thought provoking piece, written in Armenian Weekly, gives readers a novel glimpse of the varied people that we call the “Armenian Diaspora.” Congratulations on your success Gegham and keep up the great work! You make ASA proud!! Every year, the Armenian Students’ Association here at UC Berkeley hosts Genocide Awareness Week – a week-long series of events dedicated to spreading community-wide awareness of the Armenian Genocide while simultaneously recognizing the various injustices perpetrated against people of all backgrounds. When/Where: UC Berkeley’s Memorial Glade, 7PM. Additionally, there will be a genocide memorial set up on the grass area in between Doe Library and Memorial Glade during the entire week. This year’s memorial will be a replica of Tsitsernakapert, the monument in Armenia which honors the victims of the Armenian Genocide. A pamphlet will be available at the memorial with more information. We’ll be tabling on Sproul through the end of GAW as well as guarding our memorial 24/7 so feel free to stop by any time. T-shirts will be available this year for $7. We look forward to seeing you all throughout the week! Prof. Astourian informed us that US Ambassador to Armenia John Heffern will be visiting the campus on Tuesday; however, for some reason the ASA has not been notified until now. That is why we are not aware if the students are invited to meet with the ambassador. The meeting with the ambassador will take place in 270 Stephens Hall at 4:30 pm on Tuesday, December 11. This information is tentative as the meeting might be formal and not for students. However, as soon as we hear more about it we’ll provide you with details. I know this is a short notice, we were surprised too, but if the Ambassador wishes to meet with the ASA community I am sure there are those among you who will be interested in meeting him and asking him questions. Welcome to ASA and Welcome Events 2014-2015! You can find exciting information about all updated news, meetings, and events relevant to the ASA through Facebook! Hit "ASA @ UCB Official FB Page" under ASA Sites below for direct access to the page.